Tenth-grader Yugi always had his head in some game - until he solved the Millennium Puzzle, an Egyptian artifact containing the spirit of a master gambler from the age of the pharaohs. 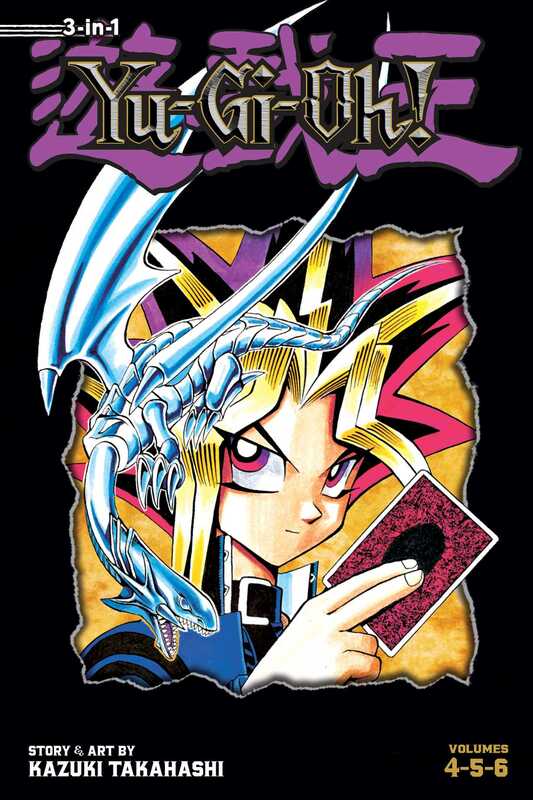 Possessed by the puzzle, Yugi becomes Yu-Gi-Oh, the King of Games, and challenges evildoers to the Shadow Games...weird games with high stakes and high risks! When Yugi beat his classmate Kaiba at a simple game of Duel Monsters, he didn't realize that Kaiba was Japan's #1 gamer, heir to the Kaiba Corporation, and a vengeful madman! Now Yugi and his friends must survive Kaiba's Death-T! Standing between them and escape are the two Kaiba brothers, who have spent years and millions of dollars building the greatest Duel Monsters deck ever. Armed with his grandfather's hand-me-down deck, Yugi fights for his grandfather, for his friends and, most of all, for revenge!